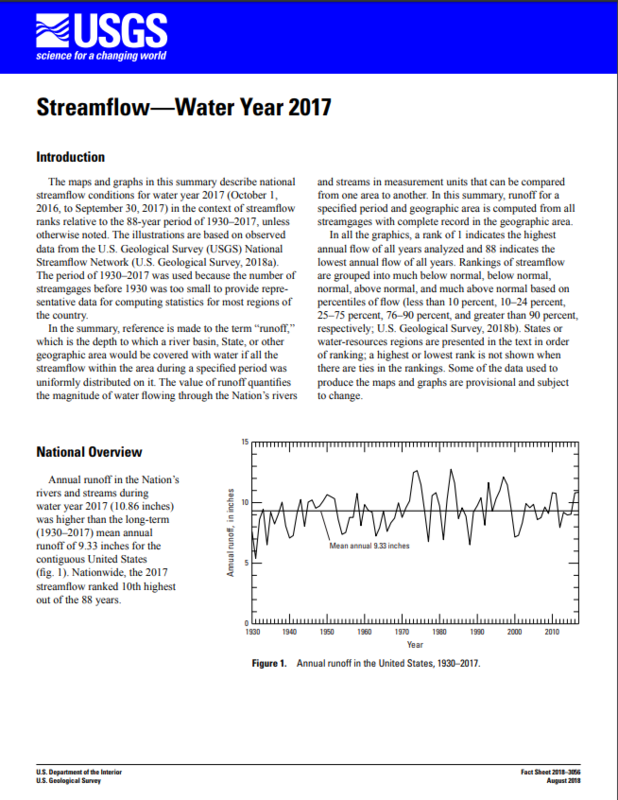 The maps and graphs in this summary describe national streamflow conditions for water year 2017 (October 1, 2016, to September 30, 2017) in the context of streamflow ranks relative to the 88-year period of 1930–2017. 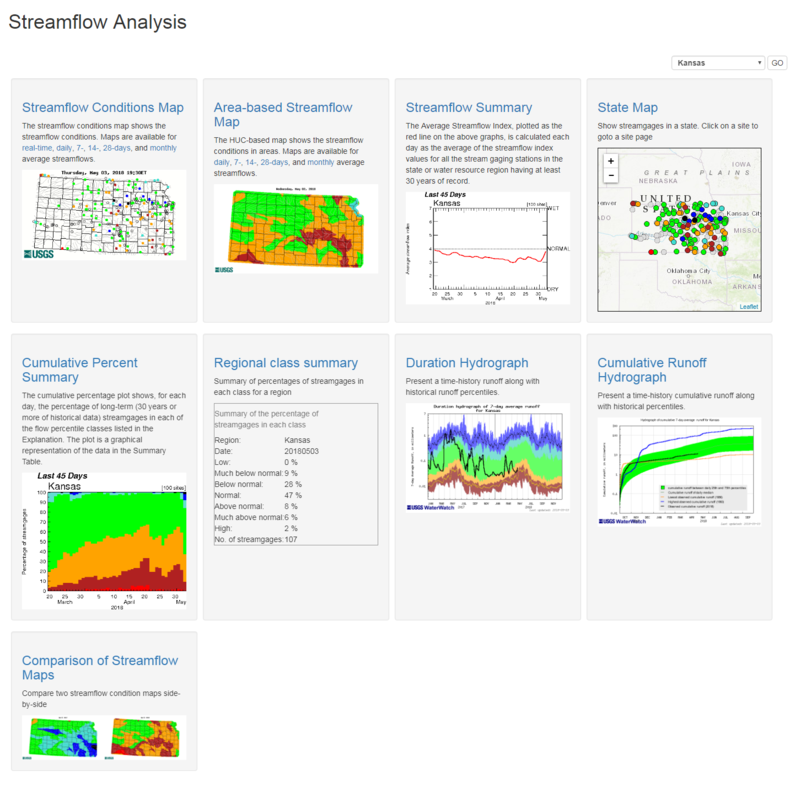 View all streamflow condition maps in a seamless way. Provide tools for quick zooming, panning, and full screen. Search USGS streamgages easily by state, huc, and site name and number. 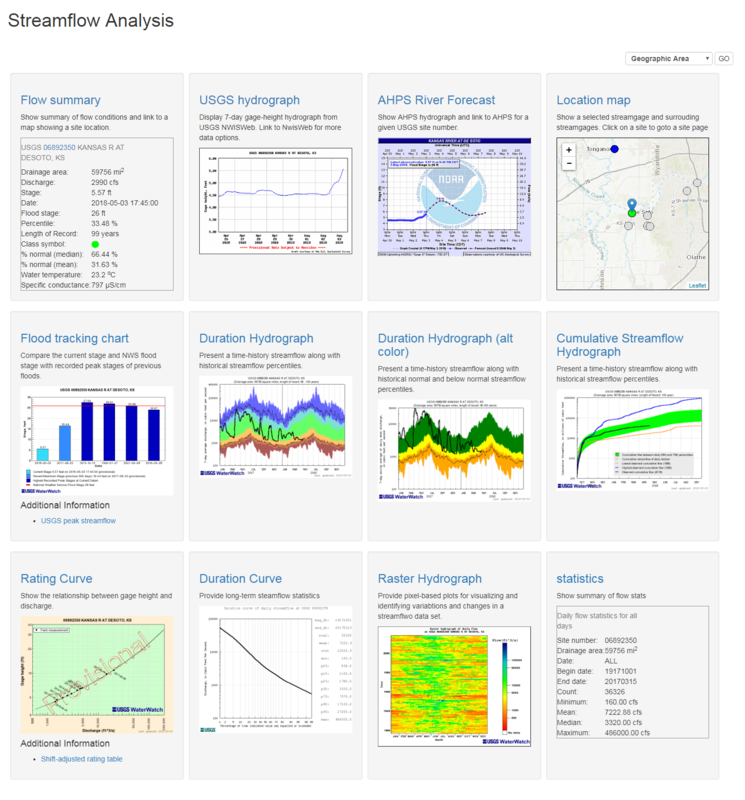 Collection of WaterWatch popular streamflow analysis tools for a streamgage. 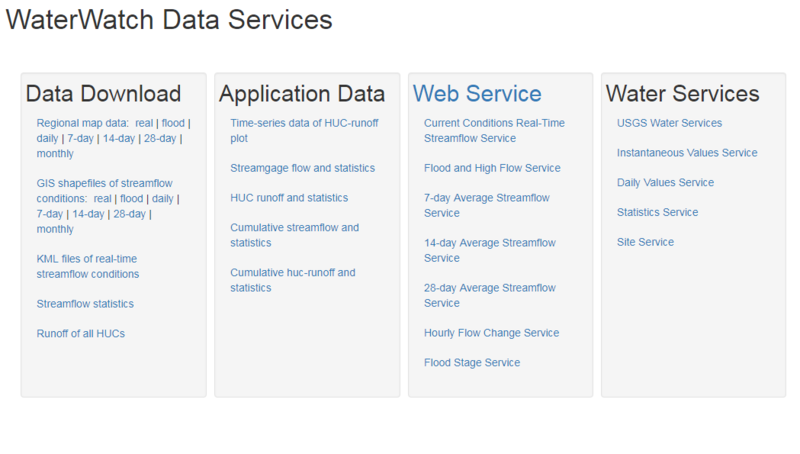 Collection of WaterWatch streamflow analysis tools for a state. 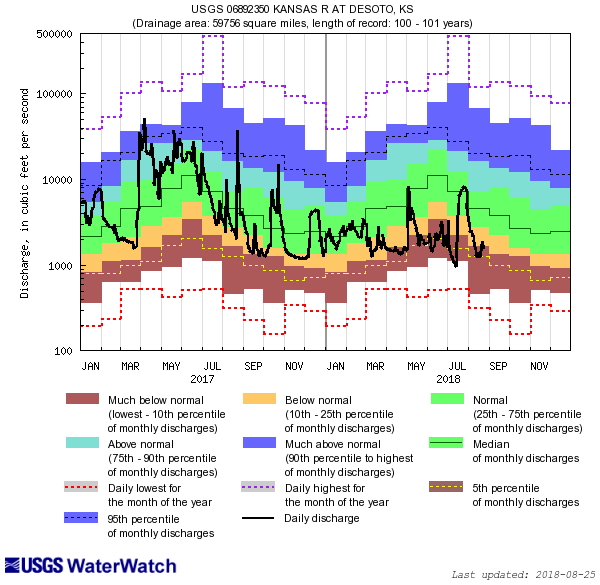 Download WatrWatch streamflow condition maps in shapefiles. 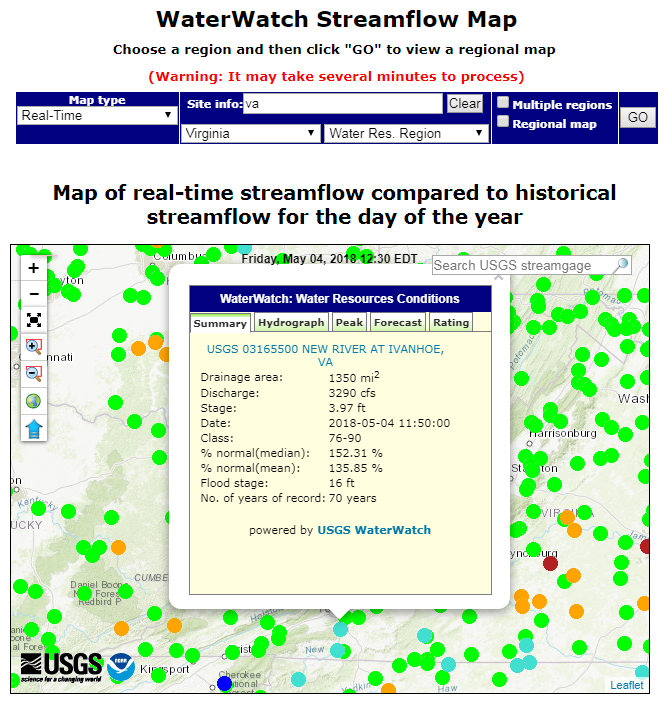 Download WatrWatch map data in various formats such as XML and KML.